Gaming is an activity meant to bring you much joy and relaxation. However, it can turn out to be frustrating if you always lose in most matches. One of the factors that can make you lose, is the lack of appropriate gaming devices, which includes a gaming mouse. As such, you need to ensure that you get the right gaming mouse for your League of Legends matches. Hence, this leads us to the question, How do you purchase the best gaming mouse for LOL? We are just about to find out, as featured in this article are the factors that you should consider when buying one of these, as well as a review of the 7 best gaming mouse that you can get your hands on. But before that lets take a quick look at those mice from the chart below. 1. Ergonomics - How comfortable does your gaming mouse seem to be? This is the first question to answer before exchanging your money for this device. After all, you do not want to sit through long gaming hours and leave while your fingers are hurting. As such, know your grip and the mouse that can perfectly suit your grip. Some advice based on this point is to get a large and wide mouse if you are a palm gripper. On the other hand, get a short, light, and one with a smaller palm area if you are a tip gripper. And finally get a small mouse and one with thin elongated primary buttons if you are a claw gripper. 2. Sensitivity - Here, you will have to determine the way in which you move your mouse and group yourself in either the low sensitivity class, the medium, or high sensitivity class. How do you determine this? If you apply big sweeping motions over a long distance, you should get a low sensitivity mouse, one with a 400-800 DPI range. On the other hand, if you move your mouse over a short distance, you get a high sensitivity mouse with a DPI of over 1000. Although these days you can get a mouse with over 10,000 DPI, but you don't really need that much. A 2000 DPI mouse can handle games like League of Legends easily. 3. Wired or Wireless - Do I get a wired or wireless mouse? This is a decision to make based on your personal preference. 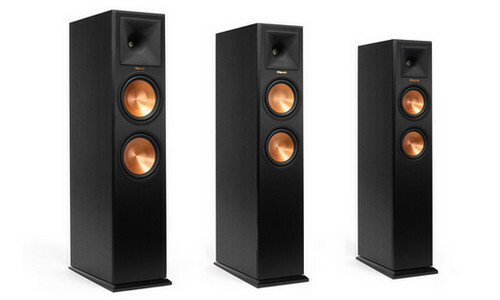 Each of these mice has its advantages and disadvantages which make it a choice that you should personally make. For instance, with a wired mouse, you can only move it to where the cable can reach, while you run the risk of being tangled. However, this mouse is reliable since you do not run the risk of running out of batteries or a slow response time. On the other hand, with a wireless mouse, you run the risk of low batteries and increase lag due to signal transmission. Overall a wired mouse is recommended for most people. 4. Programmable Buttons - If you want to get your first gaming mouse, you should note that unlike a regular mouse that features right, left, and the scroll wheel buttons, a gaming mouse has more buttons. For instance, these mice have a forward, back, home, among other buttons. As such, choose these based on the games you play. Also, pay attention to the placing of the buttons so that you do not have to interfere with your comfort. 5. Price - Gaming mice come at different prices. You will come across those that cost less than $50 and those with a price of more than 100$. The reason they range in these prices is due to the differences in features, while the retailers also play a part. 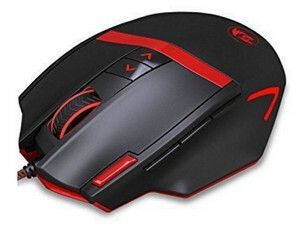 As such, determine the features that your mouse must include first before parting with your money. Also, remember that price shouldn't be the determining factor. First, research on different mice that suit your needs, and only then should you determine your price. Now that you know about the things you need to look for when buying a headphone, it's time for the actual reviews. I hope it will be much easier for you to choose one after you are done reading. Chroma lighting with 16 million customizable color options. This gaming mouse is designed for extended durability as well as incredible ergonomics. It measures 2.9 x 1.69 x 5 inches, and can perfectly fit in your palm. With two rubber side grips, the DeathAdder Elite gives you maximum comfort enabling you to stay at the top of your gameplay. I have been using this mouse for over a year now, and I don't think I can go back to any other mouse. 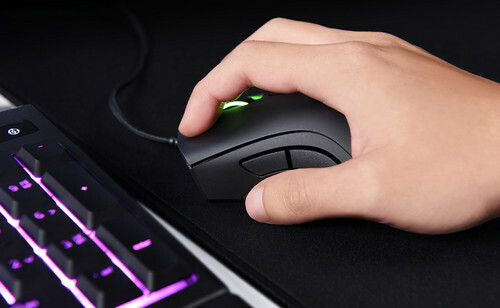 The device has an advanced optical sensor since it features a 16,000 dpi that makes it capable of sensing mouse movements of up to 450 inches with a 99.4 resolution accuracy. As such, you can be sure to have increased accuracy and speed with this mouse. The DeathAdder Elite features Razer mechanical mouse switches engineered to offer you the unfair advantage in intense game play. As such, you can benefit from the fastest response time for gaming, and an extended durability of up to 50 million clicks. Another plus of this mouse is that it allows you to place the DPI buttons at your fingertips. So, when you need greater sensitivity for lighting fast moves or lower sensitivity as you line up a last hit, you can be sure that the additional DPI buttons will enable you to benefit from much convenience. What's more is that with this mouse, you do not have to worry about misfires. The reason behind this is that it features a tactile scroll wheel to give you greater control. Hence, whether you are scrolling or clicking the middle button, your finger will always remain on the wheel. The gaming mouse also gives you the chance to create stunning lighting effects, since it features a full spectrum of 16.8 million colors. So, if you are in the mood of pastel pink, electric blue, or signature razor green, you can be sure to benefit from what you want. Comes with 12000 dpi sensor. Tunable weight and balance for superior feel and comfort. 11 programmable buttons with RGB chroma lighting. Right after the DeathAdder Elite, the G502 takes the spot. 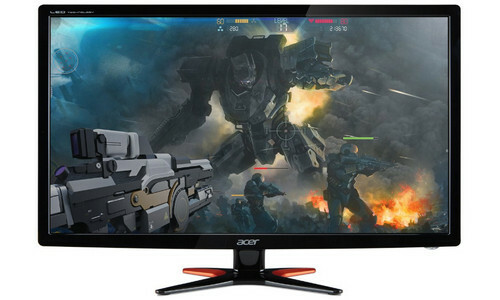 This also comes with an advanced optical gaming sensor that is accurate and responsive. The sensor helps minimize mouse acceleration and increase reliable targeting. It also has five settings that allow you to switch DPI mode from 200 to 12,000 DPI. The gaming mouse has a repositionable five 3.6G weight for superior fit and feel. Hence, it gives you the freedom to use all or some of them in the positions you feel that you need more or less weight. What's more is that it has RGB customizable lighting that allows you to match your style, by giving you the chance to choose from 16.8 million colors. With the Logitech G502, you can also change the brightness or set your lighting to the sleeping mode when you aren't using the system. Even better, you can synchronize the lighting pattern with other Logitech G devices so that all devices display the same light. Another highlight of this gaming mouse is that it makes it easy for you to program. The reason behind this is that it gives you the ability to fine tune, and customize your lighting. 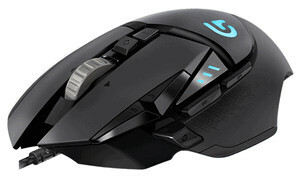 The mouse features 11 programmable buttons that give you the capacity to program your commands to each of the buttons. With this gaming mouse, you can be sure to benefit from a happy gaming time since it has textured grips and a convenient button layout. The mouse has a height of 5.2 inches, a width of 2.95 inches and a depth of 1.57 inches. It also comes with a gaming mouse pad ideal for those who use a mouse for extended periods. The pad has a high-quality cloth on the surface that promotes a smooth gliding and enhanced precision. The pad also features a rubberized base to keep it in place while at use. It measures 12.6 by 10.6 by 0.08 inches. 6500 cpi sensor for precise movement. Durable for up to 30 million clicks. 6 programmable buttons with 2 zone illumination and chroma RGB lighting. This gaming mouse gives you a high performance since it features a cutting edge sensor, a suite of tweaks and newly developed SteelSeries switches. It also features a 3D printable nameplate for individuality, 2-zone illumination and SteelSeries engine 3 for performance adjustments. The mouse highlights a Pixart PMW3310 optical sensor that offers true 1:1 tracking and precise tracking despite the pace of the game. The CPI allows for adjustments from 50 to 6500. It also has SteelSeries switches have a life of over 30 million clicks. These switches are the high-speed conduit between mouse clicks and the sensor. The mouse has strong side grips featuring a dense material that is highly resistant to sweat and abrasion. With this mouse, you can be sure to play your games for long hours while remaining comfortable since it has buttons that are ergonomically placed and sized. What's more is that it gives you the chance to benefit from brilliant illumination since it features two independent lighting zones that produce up to 16.8 million colors. These colors can also be adjusted per game, profile or application. With this mouse, you can select from four brightness levels and three lighting effects. Some of the lighting effects featured include Breathes, Steady, and Colorshift. The mouse measures 5.23 x 2.76 x 1.8 inches. Equipped with 6000 dpi sensor. Contoured design with textured rubber grips provide confident hold and comfort. 6 programmable buttons along with onboard memory to hold dpi settings. This product provides the comfort and durability required in a gaming mouse. It features textured rubber grips to enable you to remain comfortable through your long gaming hours. It also has a finely textured finish on its upper surface to give you a slip-free experience. 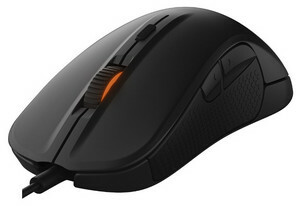 Even better, this mouse measures 4.4 x 2.7 x 1.6 inches, while it weighs 3.2 ounces. As such, it is light to reduce fatigue and small to fit in your hand naturally. When it comes to functionality, this mouse features a 6000 DPI optimal gaming sensor with high-speed motion detection and advanced tracking for precise control. Hence, you can be sure to remain accurate through your gaming, and also benefit from a high speed. Another advantage of this mouse is its onboard memory that stores your custom DPI settings. Hence, you do not need additional setup, drivers or software but customize your DPI stages and carry them with you safely while inside your mouse. The 1000 Hz polling rate accelerates the limits of the USB protocol so that you can have a lag-free experience as well as a better responsiveness. With this mouse, you can have full control with the six fully-programmable buttons that give complete custom configurations. Thumb buttons on both sides making it suitable for both right and left hand user. Low lift off distance of 1.5mm. This gaming mouse measures 5 x 2.6 x 1.5 inches while it weighs 3.2 ounces. As such, it is light to give you much comfort while using it. The mouse is the answer to those gamers who showed an interest in the FK shape but claimed that they needed a bigger mouse. It is easy to use since it is a plug and play device and requires no drivers for setup. It is also comfortable for both right-hand and left-hand users. The reason behind this is that it has two thumb buttons on both sides so that it allows you to use it even if you are a left hander. 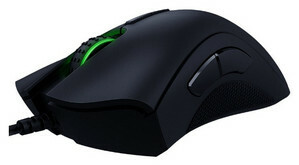 The mouse features several DPI adjustments which include 400, 800, 1600, and 3200. The ZOWIE FK1 has an adjustable USB report rate of 125, 500, and 1000Hz, and also a low lift-off distance that ranges from 1.5 to 1.8mm. With this mouse, you can either use XP, VISTA, WIN2000, 7, 8, operating systems. The mouse uses the Avago 3310 optical sensor. 16400 dpi sensor with 1000 hz polling rate and 30G acceleration. 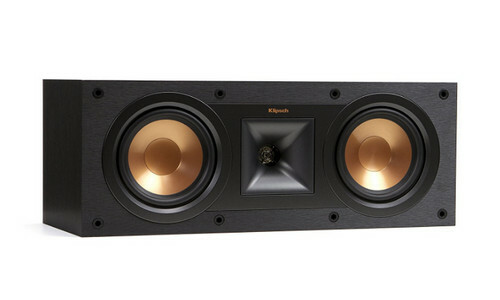 Weight tuning of 2.4g * 8 for comfortable lift and movement. This gaming mouse is constructed with rugged plastic covered with a rough coating aimed at adding an extra grip. It has a design with finger rests on both sides that add to ergonomics. Its feet feature smooth Teflon feet pads to give you the ultimate control. What's more is that it includes an 8-piece tuning set. The eight increments feature 2.4 grams each to help you adjust to your suitable weight, thereby providing you with the most comfortable gaming experience. This mouse also gives you the chance to modify the center of the mass tailored to give you more versatility. Another plus of the mouse is that it features nine programmable buttons which you can independently program via software. With this mouse, you can choose from over 16 million LED color options. Whats more, it includes five memory profiles each with a dedicated light for fast identification. This mouse is wired, meaning that you do not have to worry about a drained battery in the middle of the game. 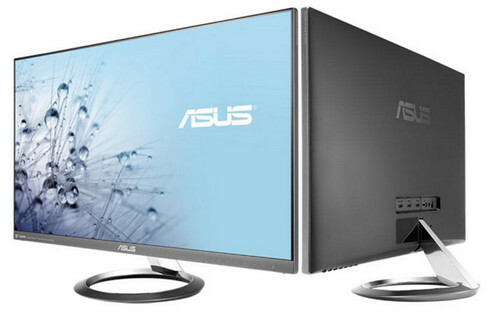 Another notable feature is its DPI that is up to 16400 for the best gaming experience. You can choose between 1000, 2000, 4000, 8200, and 16400 DPI, based on your preference. What's more is that the mouse features a 1000Hz polling rate and a 30G acceleration. It has an Avago sensor and Omron micro switches. The mouse includes a high-end 6ft braided fiber cable with a gold-plated USB connector designed to add to durability as well as signal accuracy. It measures 4.8 x 3.2 x 1.6 inches while it weighs 5.3 ounces. Comes with 5000 dpi sensor. Awarding winning shape was developed for right handed gamers. RGB lighting with 16.8 million customizable color options. This gaming mouse is best suited for right-handed gamers. It is crafted in such a way that it provides you with much comfort and support to the palm, fingertip grip, and claw. 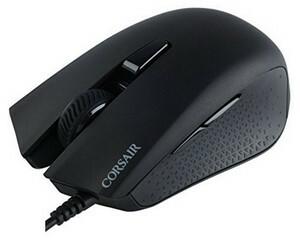 The mouse features a dedicated pinky and ring finger support groove. As such, you can place all five fingers on the mouse for added comfort while holding or lifting, even for low sensitivity FPS gaming styles. Whats more is that the mouse has four layers of rubber coating and textured side rubbers to give you a maximum grip and soft touch feel. With over 16.8 million color options and lighting effects, this device gives you the chance to personalize it. Hence, you can choose between french fries yellow, ice cream blue, or frosting pink colors so that you can illuminate your scroll wheel the way you want. You can also select from lighting effects which include blinking, solid, pulsating and color shift. The mouse features a PMW-3310 zero acceleration optical sensor that has no positive or negative hardware acceleration with up to 10,000 DPI. I hope that you will manage to make a fast and right purchase of the best gaming mouse for League of Legends now that you have read this guide. Make sure that you begin by determining what you need your mouse to feature and check for the mouse that fits your desires among the reviewed ones.